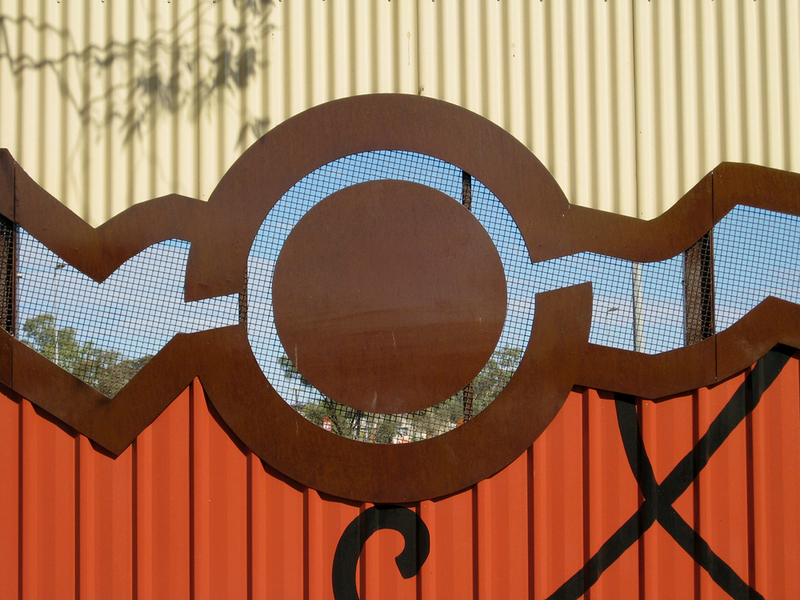 The Stuart Highway fence forms an edge to the Alice Springs CBD and screens the railway yards from the highway. The graphic central panel is taken from a map of the Stuart Highway, with cursive super-graphic lettering drawn from early explorers' hand-annotated maps. The fence refers to both the landscape and the state of transience that govern the lives of most people who live in central Australia.